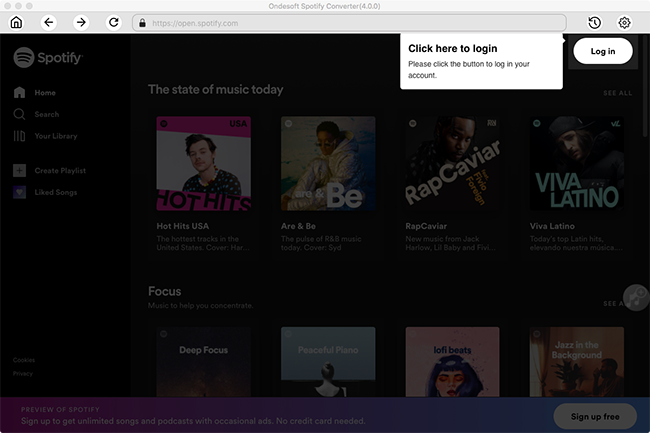 If you are a Spotify free subscriber, you can only enjoy the songs online and interrupted by ads. Whether you are free or premium, playing Spotify music while playing games is only available for select PS4 games (not available on PS3, PlayStation Now, or using Remote Play). 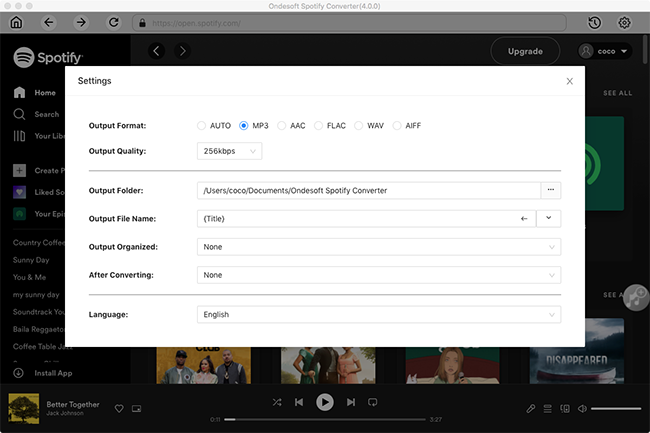 To break these limitations and enjoy Spotify music on your PS4 freely, you can use Ondesoft Spotify Music Converter to record and save Spotify music as MP3 and then transfer to PS4 to enjoy while playing games. 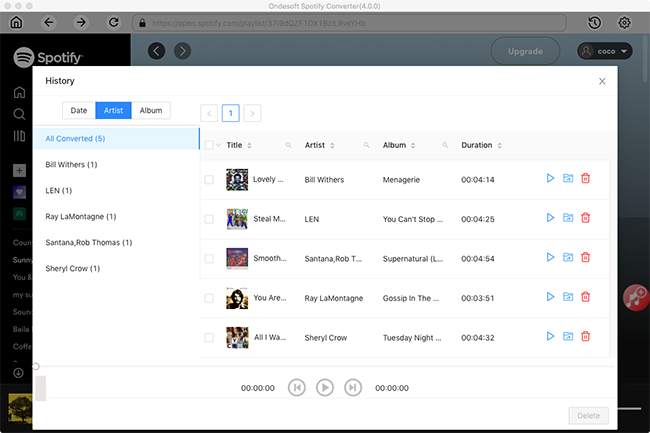 Ondesoft Spotify Music Converter is the best choice for you to remove Spotify DRM and convert Spotify to MP3, M4A, WAV and FLAC with 100% original quality. This tutorial will show you how to rip Spotify music to MP3 and transfer to PS4 for offline listening. 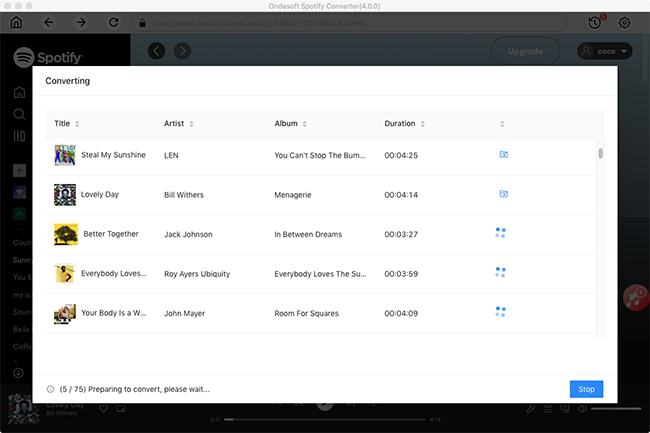 Download, install and run Ondesoft Spotify Music Converter. Please make sure you have installed Spotify app on your computer. Drag songs, playlists or albums that you want to record from Spotify app to the interface directly. If you are using the web player, copy&paste the link of the song, album or playlist. And then click Add. The default output format is MP3. 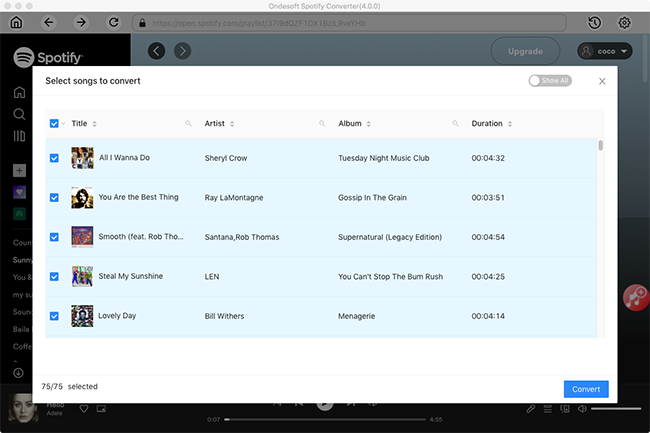 It also supports recording Spotify music in M4A, WAV, FLAC formats. Click Option button to change output format or output folder if you need. You can also change bitrate, samplerate according to your needs. Click Convert button to start recording Spotify music to the plain format you choose. After recording, click below folder icon to quickly locate the DRM-free Spotify song. You can then transfer the songs to a USB drive and play them on PS4 offline. 1. Transfer the output DRM-free Spotify songs to a folder named "MUSIC" of USB device. 2. Connect the USB device - Devices can be connected while the system is turned on. 3. Go to the category Music on the XMB™ home menu, select [USB device] and press the Triangle button. 4. Highlight "Display All" and press the X button - A list of all folders and playable content for that category is displayed. 5. To play a song, highlight it and press the X button - You may also copy a song to the PS4 by pressing the Triangle button and selecting "Copy". The song will then be copied onto the PS4 hard drive.